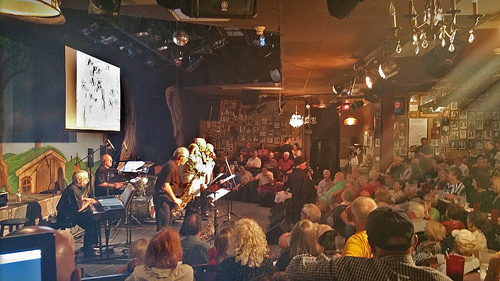 Dallas Doo-Wop is more than a cover band. We're a Doo-Wop tribute band, presenting the greatest doo-wop hits from about 1955 to 1962. Each song is transcribed from the original version and scored for accurate performance of each song, so you hear them the way your first experienced them. Four vocalists and accompaniment provide an entertaining and memorable evening of dancing and listening for all age groups. Many of our fans are younger adults who grew up listening to the doo-wop their parents loved. We know of no other band that performs as closely to the original music as Dallas Doo-Wop. Below are samples of our music. Just click and listen to these examples recorded live. We are continually adding to our song list, so check back.